On a whim I decided to head to the Garden of the Gods at night to photograph the moonrise. 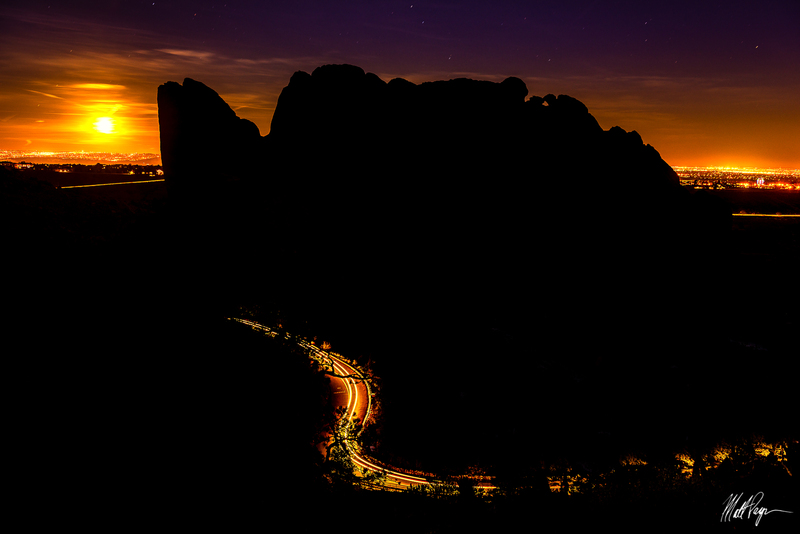 I was rewarded with this awesome composition of the moonrise with cars driving through the Garden of the Gods. The famous Kissing Camels rock is seen at center. This nightscape was taken from Palmer Trail on the west side of the park looking east. The Garden of the Gods is one of the redeeming qualities about Colorado Springs.